Imagine if paper toys could come alive! That's exactly what happens with this fascinating collection of paper figures that walk, jump, fly and spin! The Japanese call it karakuri but you'll call it fun as you assemble and play with the entertaining models in this box. The twenty-four projects in this kit are very easy to make and include: Simple toys Traditional Japanese games Amazing walking figures Charming animals Humorous robots and much more! The toys and games are each made from a single uncut sheet of paper that you simply fold up. The figurines are made with perforated cardstock papers that you pop out and assemble using white "school glue" and toothpicks. The performing toys include whimsical wrestlers which you pit against one another, acrobats who tumble and jump, a sidling crab, a comical penguin and models which actually walk down a gentle incline! Easy-to-follow instructions and colorful papers are included for all of the toys and projects in this kit. Andrew Dewar was born in Toronto, Canada. He now lives in Japan and is the president of the Fukushima Paper Airplane Club. He has published seven books on paper airplanes in Japan that helped inspire a nationwide craze for paper airplanes. 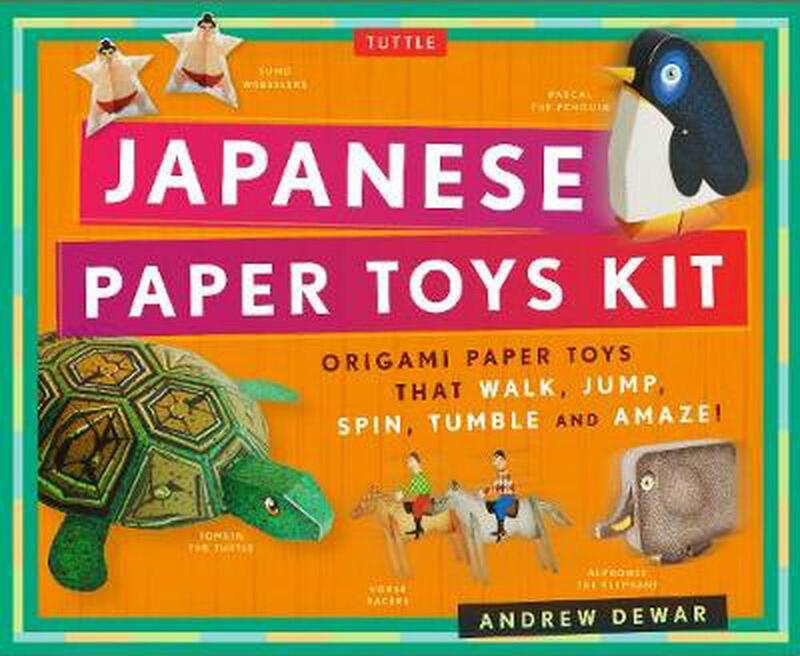 Origami Paper Toys that Walk, Jump, Spin, Tumble and Amaze!